At just over a month into the TBR Dare, I am, for the most part, loving it. As you may recall, rather than reading from my full TBR pile of some 300+ books, I decided to narrow the dare down to the 42 books in my nightstand. Since I had such a wide range of books in my nightstand, I have been actually having a great time focusing on them. I also have the added satisfaction of moving through some titles that I have been avoiding or have been slow to warm to. With the exception of the Henry James and one book that I decided not to continue with, I have enjoyed even the ones that were previously hard to get into. It can sometimes be rewarding to be “forced” to read certain books. This morning I was perusing my library and was struck by all of the books that I want to read. It was the first time since beginning the dare that I really had the desire to read something off limits. 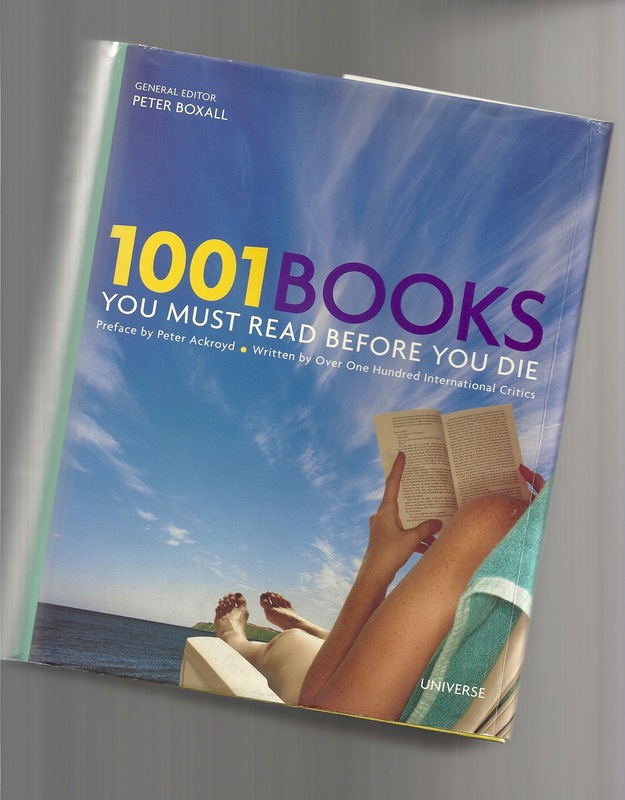 As I sometimes do, I started to leaf through 1001 Books You Must Read Before You Die. In doing so, I realized that I have read two more of the 1001 since the last time I leafed through it (War and Peace and The Golden Notebook). I also began to notice just how many of the books in my TBR pile were also in the 1001 book. I have never consciously purchased books with the 1001 list in mind, so it is particularly interesting that so many of them are on my shelves. And thankfully 11 of the 42 in my nightstand are in the book. So instead of getting frustrated while leafing through the 1001 book, I realized just how good my nightstand TBR is and how it should be a cinch to get to April 1st without failing the TBR Dare. Plus, just think how many more titles in the 1001 book I will get to check off come April 1st. I couldn’t post about this without noting that, like all lists, the 1001 book is by no means perfect. They have a pretty good cross section but it is heavily 20th century, I guess critics don’t read many classics. And in some cases I think they highlight some authors a little too much. Although I like Ian McEwan I think they list too many of his books especially when some great authors aren’t included at all. And does any list really need that much D.H. Lawrence? Of course it has all the ones you expect by Lawrence, but it also has several I had never even heard of. I also think it has too many Amis, pere et fils. I understand the list/book keeps getting updated since my 2006 edition, but I am not going to try and keep up with that. I am certainly not going to buy a new copy. So, in a nutshell I am really finding the TBR Dare to be quite satisfying. The Amis, Bowen, Cather, Coetzee (Petersburg), Eliot, Le Carre, both McEwan, both Mitford, and the West. I'm really enjoying the TBR Dare too. I feel like it's made my reading a little less pressured — there are only so many books in my apartment to choose from, but they're so good that I'm excited. I've made one total exception, but otherwise have stuck to all TBR pile books. I'm glad to hear things are going well for you too! Glad to hear you're having fun with it. I admit that I, too, have been tempted to give in lately. But, I'm sticking to it. It's nice to finally get around to reading so many books that I've had on the shelves for so long. I'm so glad you're enjoying your TBR dare. I pulled a bunch of books and made a TBR shelve. It contains the books I own that I really want to read and my library books. It helps keep the book anxiety away. I ignore the packed, big shelves and focus on the 30 odd books on my TBR shelf. I've always wanted that book but I feel like I would become overwhelmed by it! So many books I have never read, and so many I will never get to. Glad the TBR dare is going well for you! I did not enter the dare but that is exactly what I am doing since I came back from Melbourne! One month gone and I have not bought a single book even from a second hand shop! You're doing well – guess you did have a good stash to choose from tho! I must address my TBR soon. Maybe once I get through the library books I took out for #savelibraries day yesterday. 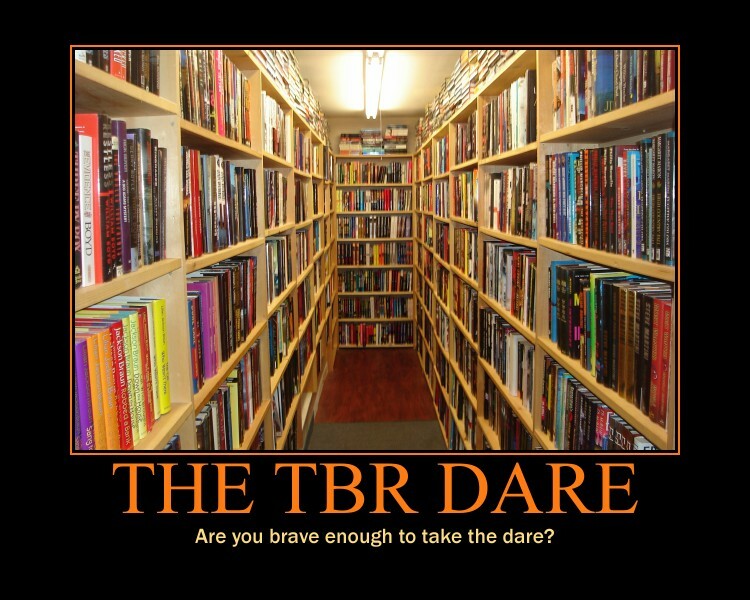 I'm loving the TBR Dare, too…. but I don't dare pull out my copy of 1001 Books. Too much temptation! I've looked at the 2010 edition of 1001 Books You Must Read and it's got a much more international selection, with many titles I'd never heard of. I began to wonder if they were trying to make the list too broad, where before it sounds like it was too narrow. At least Elizabeth Bowen is on the list and you've got one of her books. Kim: Studies have shown that humans don't like too much choice. I think the liberating feel of the TBR Dare is proof of that. Stu: I loved The Glass Room. I don't worry about the 1001 books because many are books I just don't want to read. CB: We all owe you thanks for putting this dare out there. Amanda: I do that too, but under normal, non-TBR Dare circumstances it doesn't work for me. Hence the 42 books in my nightstand that I had been ignoring until the dare came along. Ash: The book is also nice because it has great photos and blurbs about the books. Kind of a nice reference book. Mystica: It is nice to tidy things up. 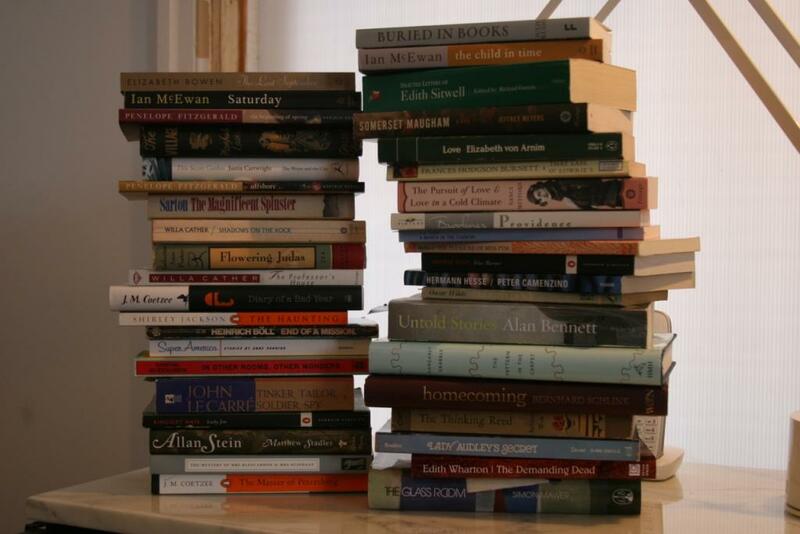 Verity: If I didn't know better I would think that I rigged my TBR pile to be so broad. But it was really just a snapshot of what was in the nightstand at that moment. JoAnn: You might be surprised like I was about how many are in the book. Susan: I am still acquiring (though more slowly). Just can't read them until after April 1st. Carolyn: The more I look at my edition the more I wonder if I need to look at the new one. I really don't think that some authors–while no doubt brilliant–deserve so many titles on the list.